Something Happening at the Old Triceratops Encounter at IOA – New Attraction Coming? 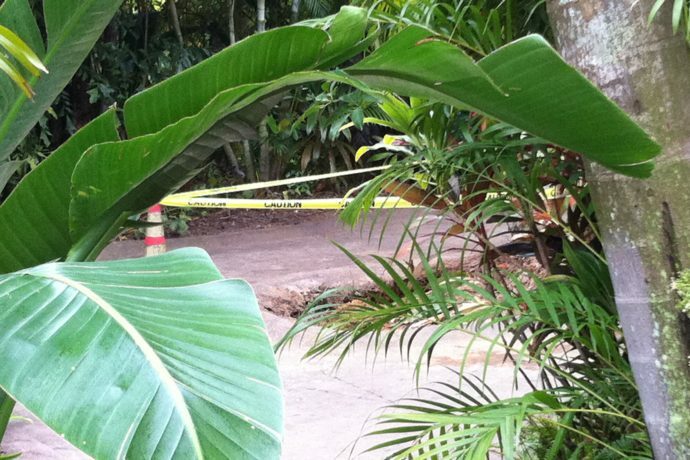 When I was at Islands of Adventure a couple of days ago I noticed a big hole in the queue near the entrance of the now defunct Triceratops Encounter at Jurassic Park. The hole was surrounded by caution tape. I managed to snap a couple quick pictures as I passed by (see below). 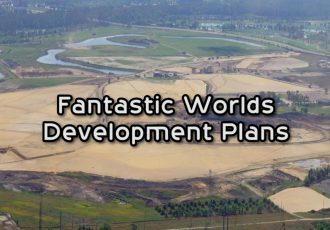 Now rumors are flying around the Twittersphere about the possibility of a new attraction coming to the area, specifically one featuring Velociraptors! More info and pictures below. 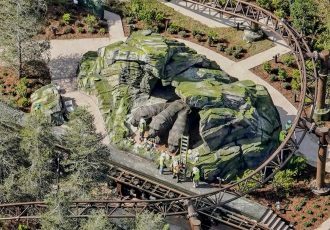 Rumor: #JurassicWorld inspired 'Velociraptor Encounter' to replace the closed Triceratops Encounter at Islands of Adventure Orlando. Upper level Universal people walking through the Triceratops Encounter area right now…hmmm. Could we see a Meet & Greet for the Raptor Squad: Charlie, Blue, Delta, and Echo? I have no idea where the rumors originate from, but there have been reports of high-level Universal staff walking around the closed-off Trike area. The timing is right for a Velociraptor attraction as the popularity of the trained ‘Raptor Squad‘ from the upcoming Jurassic World film has been gaining momentum on the internet. A shot in the movie’s trailer shows four raptors running beside Chris Pratt’s character on a motorcycle. An attraction themed as a Raptor Training Center or Raptor Encounter would be something I’d love to see myself. It’d be great to experience some dinos in person, and without having to get wet on a water ride to do so! 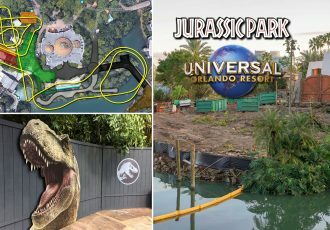 Many Jurassic fans have been disappointed that Universal has not yet jumped on the opportunity to update any of the attractions at Islands of Adventure leading up to the release of the new film. 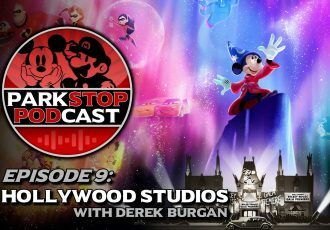 It’s possible they’re waiting to see how the film will perform, but they have already trademarked the term ‘Jurassic World’ for use in theme parks and attractions. The Triceratops Encounter closed permanently back in 2010, although the actual Triceratops animatronic wasn’t completely removed until early 2014. 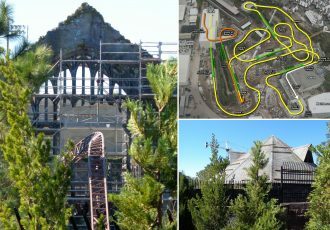 The area has sometimes been used for private and corporate functions in previous years. Of course these are just rumors and I shouldn’t get my hopes up. There had been rumors of a new attraction being built in this spot for the last several years, until the Kong project started construction and diverted everyone’s attention. Who knows what’s happening here, if anything. I’ll keep you posted in case of any developments. Good detective work. Hope something comes of it. Love ur site. Overheard there was supposed to be a themed restaurant w kong. Could this be it?